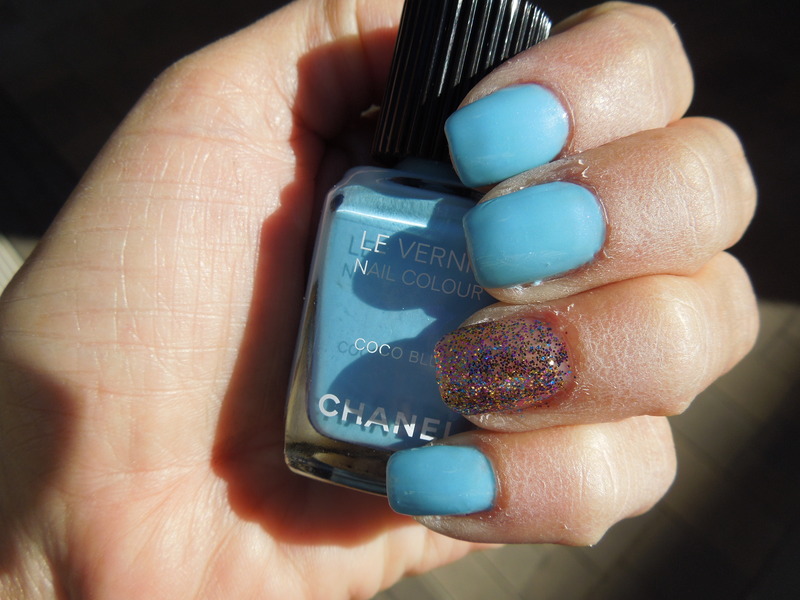 Here is a super fun blue nail. I think I could wear different shades of blue all the time. One of the blogs I read on an almost daily basis is The Polished Perfectionist. This beautiful nail blog is written by AmyGrace, and I really enjoy her creative nail designs as well as her amazing cake decorating abilities. 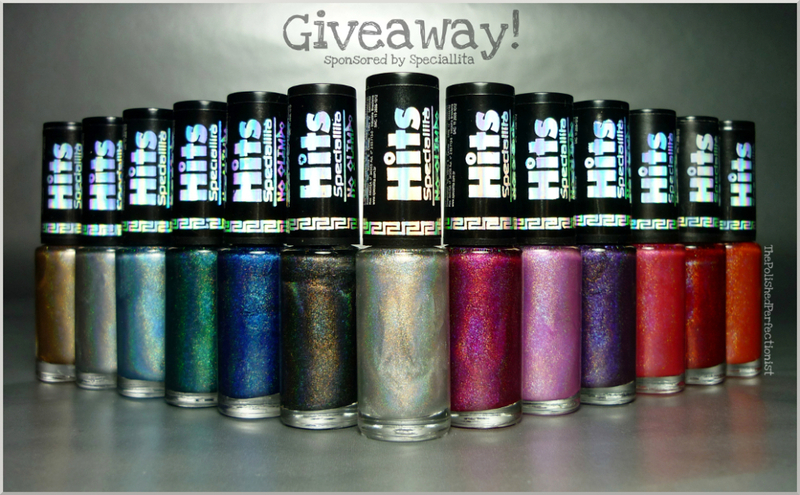 I am writing about her today, especially because she is having a fantastic give-away. 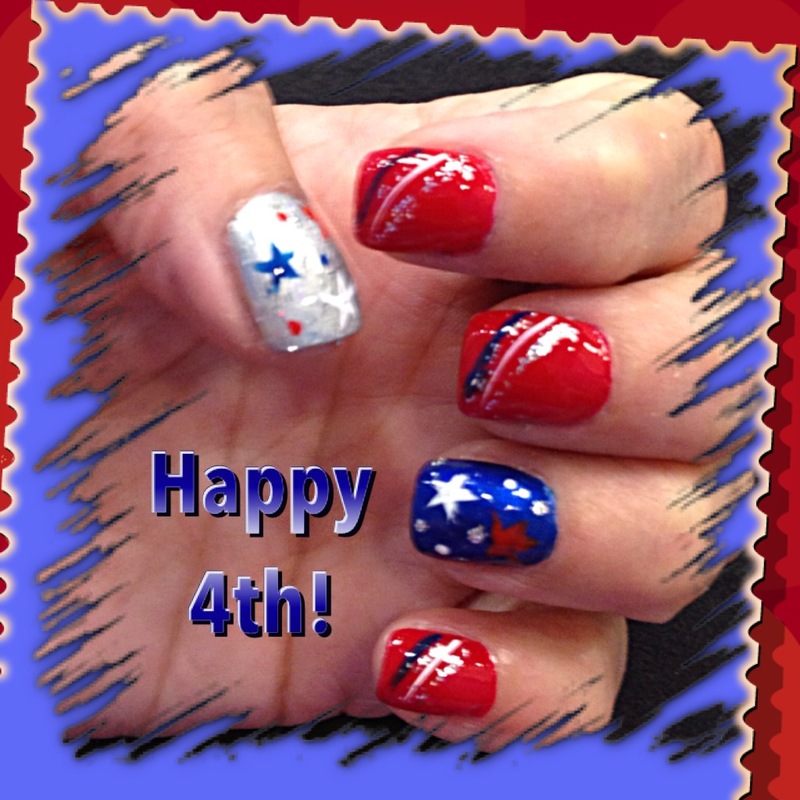 Anyway, please visit her site for some very creative and unique nail art designs. 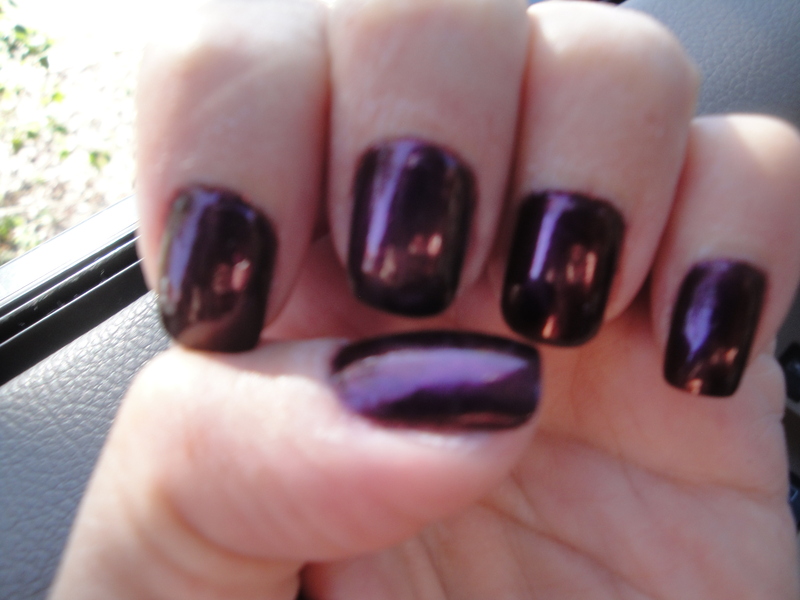 These are the nails I am wearing today, but this is actually more of a test post, to see if I want to change the look of my blog. 🙂 We shall see. 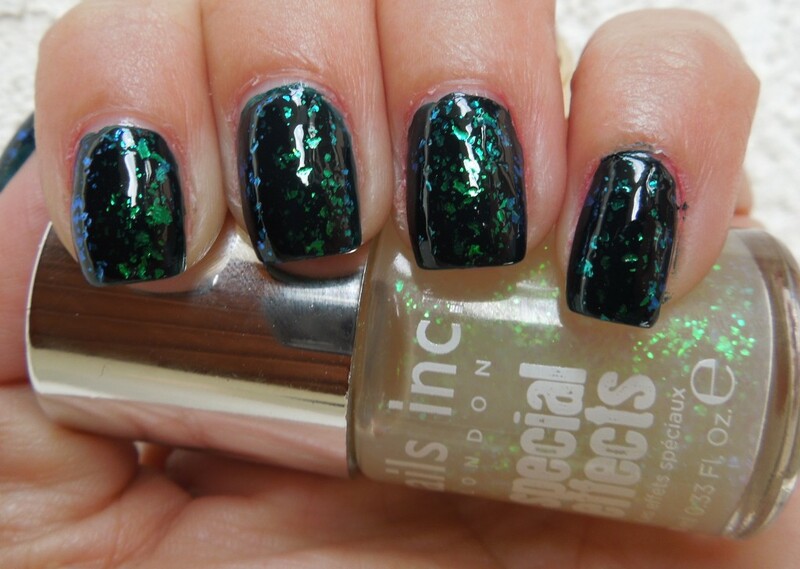 I have found a new favorite polish, for sure. 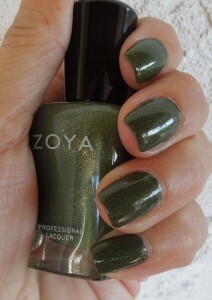 Again, these polishes seem to be only available here in the US at Sephora, or online. 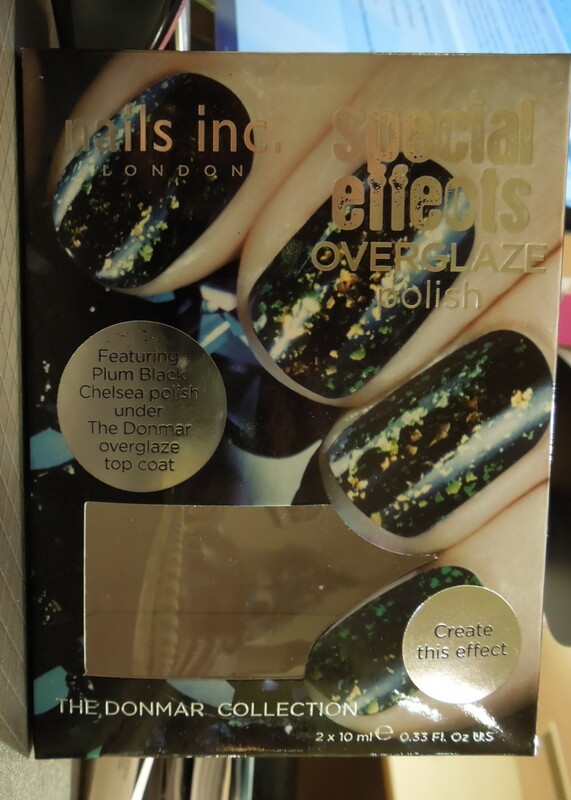 Today I am trying another “Special Effects” look from Nails Inc. This is the Donmar Collection, which has a different overglaze top coat over a deep dark burgundy. So… I really like how you can see the colors and design so well in this picture, BUT… I have to admit I am creeped out by the closeness of it all. I think we might be able to see individual skin cells in this shot. Weird. Today’s Nails are from Nails Inc London. I am super excited about how this look turned out. This is the box the polishes came in at Sephora. I bought this on my Black Friday outing. Although the polish looks super bumpy in these pictures, it’s not. I think it looks really cool! My only slight complaint is that it looks greener than I had hoped. 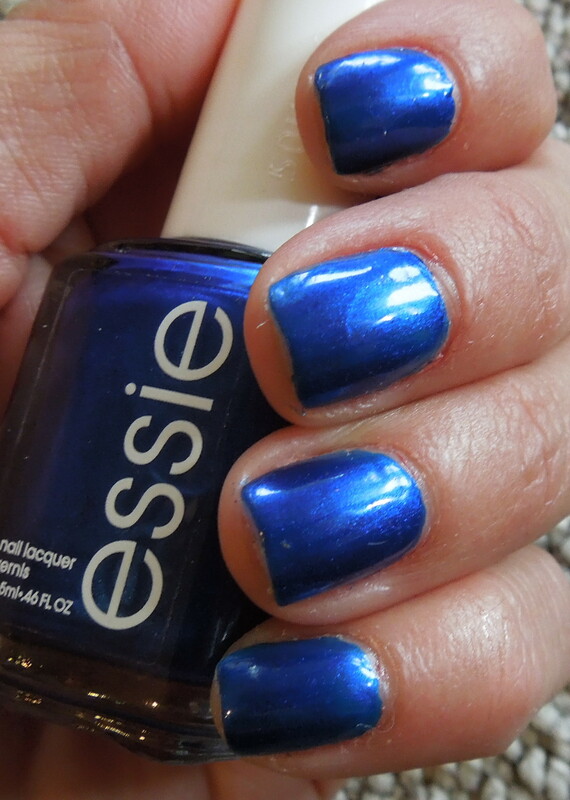 The Nails Inc base color, “Kensington,” looked more blue before I applied the “Special Effects” color. 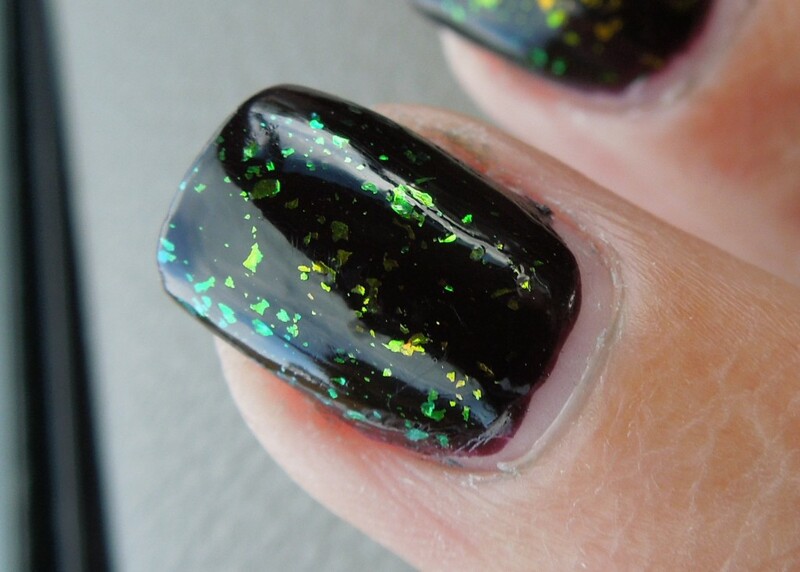 I now want to wear this holographic flake polish over every color now. Maybe you will see it a few more times in the next few weeks. 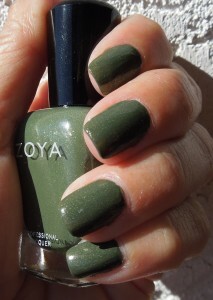 Today I am wearing “Yara” by Zoya. It is a very pretty green with little flecks of gold. I am loving this color. From all outward appearances this shop seemed clean and tidy. There was no music or television playing when I arrived. I might have enjoyed some type of music in the background, as I tend to like some quiet noise to help me relax. There were at least 15 spa chairs that were all nice and in good condition. I came during the day on a Tuesday, and did not have to wait at all. 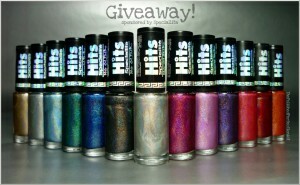 They have a nice, but not awesome collection of polishes. Again, I did not get a name of my pedicurist today. I felt uncomfortable asking for names in this shop. I got the “Indulge Me Pedi.” The products they used were nice. I liked the smells, and the lotion felt good. The massage was adequate, and there was no callus removal offered. The fill was $18, which seems to be about average. The pedicures run from about $22 to $48, again, their prices seem to be on par with other shops of this type in town. Look how dry my cuticles are, immediately after leaving the shop. Yuck! 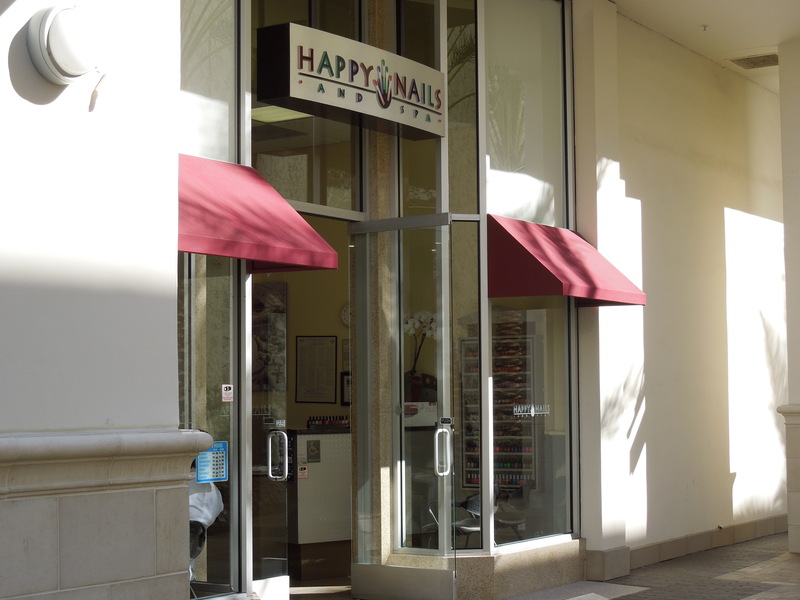 This is my very first nail shop review, and I am super excited! 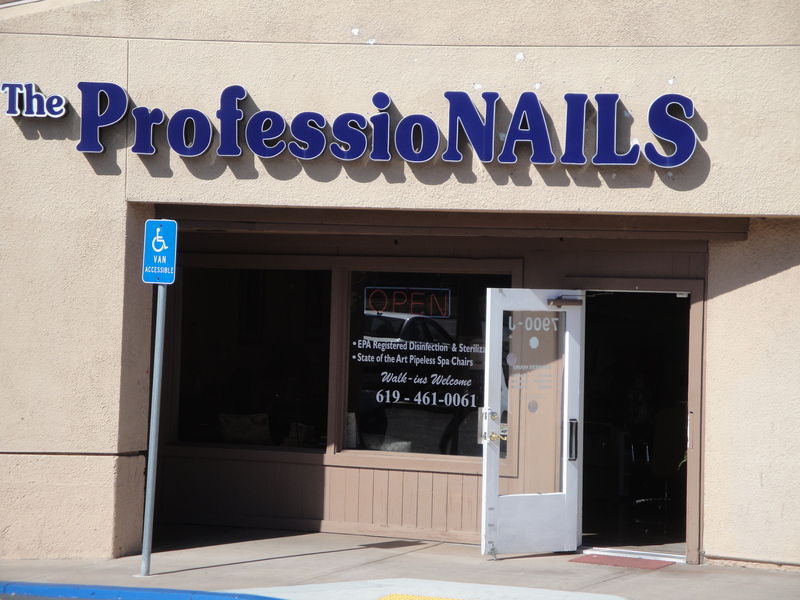 I have been thinking of doing local nail salon reviews in the San Diego area for some time now, and I guess that today is finally the day. I will be looking at many aspects of each shop, and attempting to give a fair review of what I find. My usual services are a spa pedicure, and an acrylic fill. Those two services usually provide me with enough information to form an opinion about a salon on the first (or maybe second) visit. They have a Facebook page (ProfessioNails La Mesa), but not a website. When I first entered, I was greeted right away. The shop was cute, and appeared very clean. There was a TV on the wall, but it wasn’t turned on, which I prefer. There was no music playing, so I can’t say if it was too loud or too quiet. When you arrive, there is a sign-up sheet on the counter. I liked this, because it removes all confusion about what order customers came in, and what they want to have done. This shop also has a menu of services, which is something I greatly enjoy. This allows me to look over what they have to offer and decide how much I want to spend. Today my pedicure was performed by Mike. I chose the European Pedicure for $30. This was not the least or the most expensive pedicure. The spa treatments started at about $22. Mike did a pretty good job. He was friendly and efficient, but there were a few disappointments along the way. The callus removal did very little actual removing. This is important to me, due to the fact that I run around barefoot often, and have a fair amount of callus on my feet. Also, I like a strong massage, and Mike was a bit gentle for my taste. If you like a soft massage, he would be perfect for you. He did however, do a great job with the rest of the pedi. The polish itself looks fantastic. Today my fill was done by Han. (sp?) She was amazing! I am almost sorry that I have just started to do this shop review series, because I think this girl could easily become my regular for fills. She gave my nails a great shape, and they are very thin. They almost look like they could pass for natural nails. I hope they can hold up all week. I love how thin nails look, but time will tell if my natural roughness will cause them all to break. I will keep you posted. 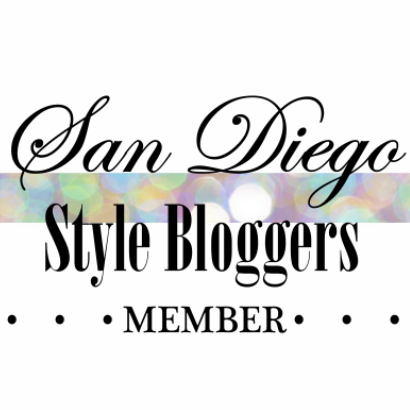 If you live in the San Diego area and have a nail salon you love, let me know, and maybe I can give it a review.